بۇ ئالدىن كۆزىتىشنىڭ چوڭلۇقى: 667 × 599 پىكسېل. باشقا چوڭلۇقى: 267 × 240 پىكسېل | 534 × 480 پىكسېل | 668 × 600 پىكسېل | 855 × 768 پىكسېل | 1,199 × 1,077 پىكسېل. English: Haft Sin, Tehran, 1389. 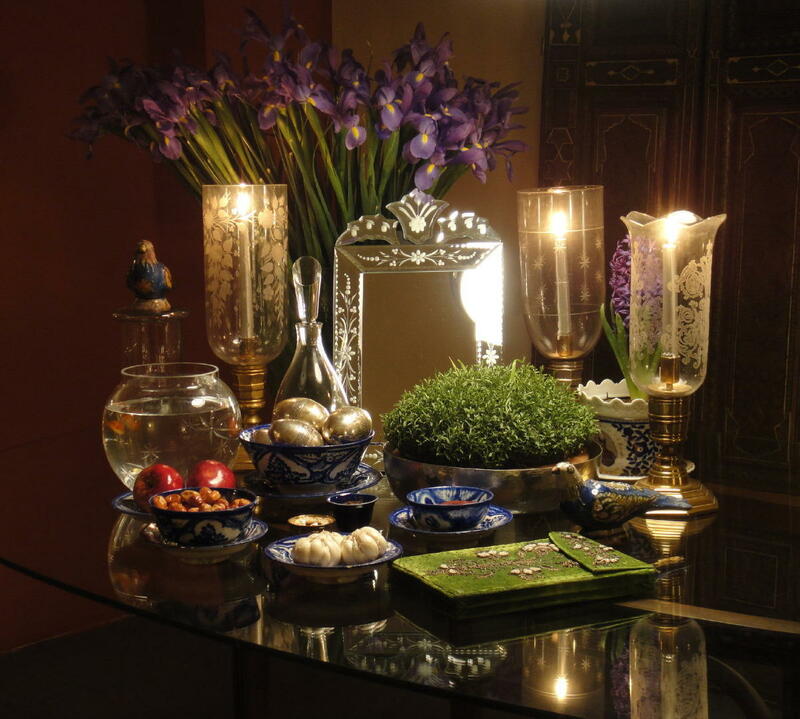 Nowruz marks the first day of spring and the beginning of the year in Iranian calendar. It is celebrated on the day of the astronomical vernal equinox, which usually occurs on March 21 or the previous/following day depending on where it is observed.